Discussion in 'Random Discussion' started by Alamact, Mar 17, 2018. What is with this phenomena of players taking themselves out of the games?? It's almost a weekly occurrence anymore. Well, after the Panthers start with a TD on the opening drive, the Steelers answer in 1 play to make it 7-7. This is gonna be a fun game! Edit: 14-7 Steelers after their second TD in 13 seconds. Fun if you're a neutral fan. 52-21 final score. Like DAMN. Says a lot about Baltimore's D being able to hold them to half that last Sunday but it also says that defense doesn't win championships anymore. You need a complete team now. Like what the Rams, Saints, Bears and Pats are doing. As for the Colts I'm just happy we won't be last in the division again this season. No one was expecting anything out of us for Luck's return year and we still showed up. Really looking forward to our Jags game this week. This is going to sound odd but I’m not sold on the Rams D ok so they have injuries but so does every team they seam to operate on a if you score 1 TD we will score 2 TD it makes them fun to watch but then when you come across the Saints or even the Pats (Shudders) then it might not be enough. The only team I can see that working for is potential KC. I somewhat agree, but to play the Captain's advocate, I can see how one might consider the Rams a more balanced team than say Kansas City, especially with a defensive beast such as Aaron Donald or Ndamukong Suh. I think the Rams are a team that will look at the Saints game and make adjustments to the defense after being exposed like that. 52-21 final score. Like DAMN. Says a lot about Baltimore's D being able to hold them to half that last Sunday but it also says that defense doesn't win championships anymore. Speaking of Joe, I'm pretty sure this is clickbait - so treat it with a grain of salt - but it would be one of the weirdest ways imaginable to have Lamar become the starter. Guess we'll know the answer who has the edge on November 19th. Oh man, I'm sad to see you guys deflate so hard this season. I was really high on the Ravens thinking you were about to pull of a 2012/14 type of year again. If you didn't choke against the Pats, the championship game against us would have been awesome. I love the honesty here. Say @FN-3263827, how's that Chicago weather look? Edit: Looks like Dez Bryant may have torn his Achilles at practice today. @Capt. Andrew Luck That is hopefully going to be a epic game both teams over 30 points is very possible. @Alamact it looks like Flacco has done something to his hip so Lamar may just get his start. 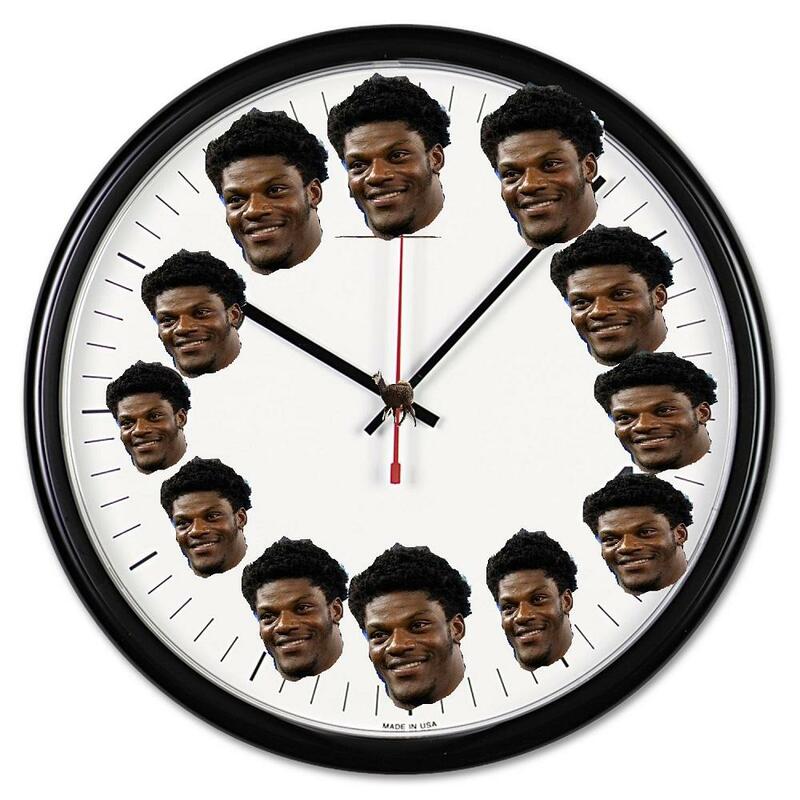 Oh my goodness, would you look at the time? I'm just reading up on all the news with my breakfast and I have to say, I did not expect the Flacco era to seemingly end this way. He might come back after a few weeks and start again to finish the season, but let's face it - we're on shaky grounds in the playoff picture if we lose to the Bengals next week - which I'm thinking is likely to be the case. Despite the high potential and the wildcard factor of Lamar, we'll likely get swept by the Bengals this year and that's fine. If that happens to be the case, just use Lamar for the rest of the season and give him experience. Goff, Wentz, Trubisky - they all took time to develop. Win or lose, at least seeing my favorite quarterback from the draft play his first full NFL game will bring me excitement heading out of the bye week after a three loss streak. The biggest irony of the season. The guy tried to play the long con, maneuvering deals for half a season, trying to land in a team all-but-destined to win the Super Bowl this year, only to suffer a career-ending injury in his first practice with them. I mean, it can't be worse than the ten sacks Stafford suffered last week, right? That was just a fluke that I'd rather forget about, while fondly remembering the time we sacked the Titans eleven times earlier this season. Oh, no. Wait. Apparently it can get worse. So interesting piece of AFC North trivia: Big Ben's career was spearheaded when the Ravens broke Tommy Maddox in week 1. They have now come full circle and created a nightmare of their own if Lamar proves he's the truth. I for one am ready for the second coming of Mike Vick. The more dog friendly Mike Vick. I guess that's that, then. We're moving on from Harbaugh after the season, and moving in with Jackson from Week 11. LOLOLOL....LMFAO......Come on @Capt. Andrew Luck I am trying to sip some coffee here and almost spit it all over the screen....this is hilarious! Also @Lock_S_Foils i see your Mahomes & raise you a Bortels he is 3 for 4 & 92 Yards . Trubisky had his career high yardage game! [Highlight] Bears DL Khalil Mack exterminates and mauls over multiple Lions on his way to sacking Matt Stafford. Jags showed up big time with those halftime adjustments against my team. I'm so proud we held the line. Houston, we're coming for you! That Khalil Mack video is just SICK!!!! He just dominates!!! !